Two elderly male otters who were best friends and lived side by side for years died within an hour of each other earlier this week. 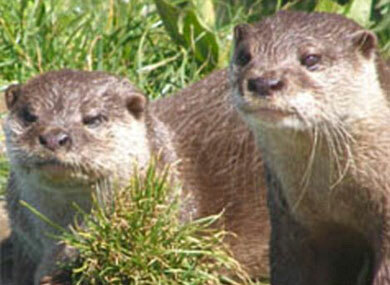 Zookeepers told the press they believe the second otter died of a broken heart. Daz, 19, and Chip, 16, lived and died at Naturelands Zoo in Nelson, New Zealand. Their handler said they had been inseparable for nearly 15 years. She said she believes they lived beyond the normal 14-year life span for otters because they had each other for company.